Samsung’s Galaxy S and Galaxy Note continue to be the de facto Android experience for millions of people around the globe, remaining the best selling phones among casual crowds and a preferred option among enthusiasts as well. While the devices have been a bit predictable for a while, there’s no arguing that they’re incredibly competent products and certainly two of the most important Android flagships around. In fact, Note 9 is easily the best device Samsung has ever produced. It’s a bit predictable, sure, but also a thorough refinement and compilation of every good idea (save, perhaps, the curved edge) that Samsung has been experimenting with over the years. I’d almost go as far and call it the best smartphone ever released, in general terms, even if it won’t particularly appeal to every breadth of Android enthusiast on the internet. Sure, it’s expensive, but at least it makes a compelling case for its cost at a time where other OEMs compromise valuable features like expandable storage, headphone jacks, wireless charging, or adopt the still-controversial notch. Good Lock genuinely changes a great deal of how the Note 9’s UI looks and feels. Oddly enough, one of my favorite features of the Galaxy Note 9 is almost entirely unadvertised by Samsung. It’s an “app suite” from the Galaxy Apps store, and that alone entails most people won’t ever see it — who actually browses Galaxy Apps, anyway? But even if you have a thorough repulsion to OEM “bloatware,” Samsung Good Lock is well-worth re-enabling the company’s bootleg Play Store. 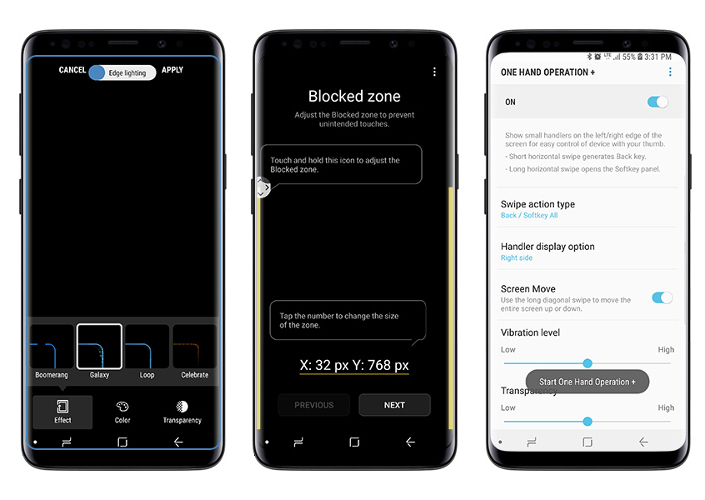 This little app was initially released on the Galaxy S7 a few years ago as a SystemUI replacement and Lockscreen customizer, enabling accent color tuning and a few aesthetic modifications as well as neat features. After a generation, it practically vanished for a couple of Android versions. 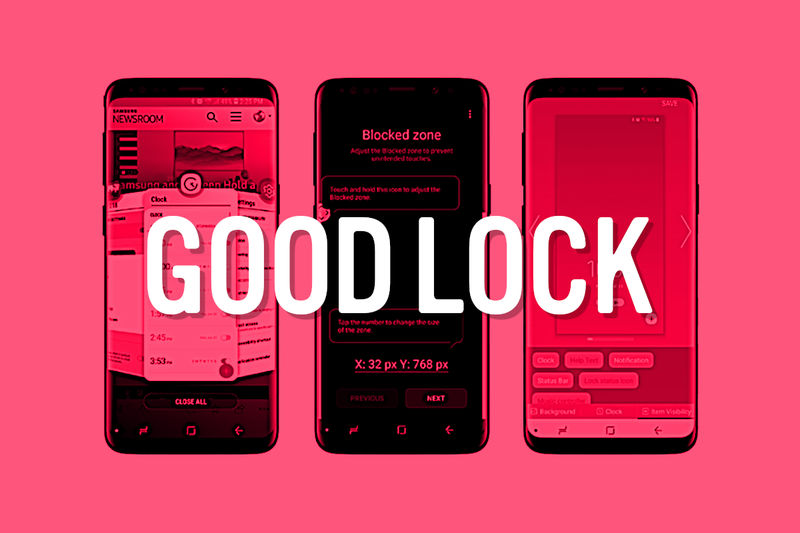 Recently, Good Lock was re-released for the Galaxy S9 and Note 9. In 2018, the name “Good Lock” is a bit of a misnomer, as it’s far more than a lock screen replacement. LockStar – Customize the lock screen (can re-arrange elements, etc). 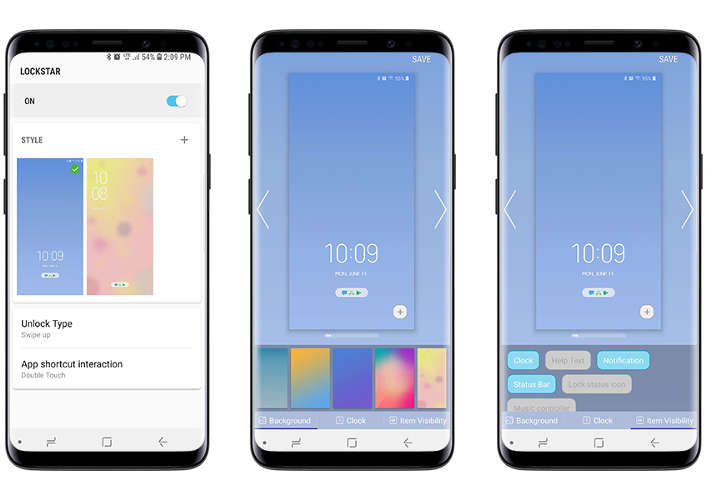 QuickStar – Customize the notification shade and status bar (set transparency, blur the background, pick colors and alpha). Task Changer – New look and effects for the Recently Used Apps UI (horizontal Recents switcher, more shortcuts). Routines – Essentially Tasker. Control phone functions and settings with conditions. ClockFace – Customize the AOD and lock screen clock. EdgeLighting+ – Customize the Edge lighting effects (essentially an “expansion pack” to Edge lighting). Edge Touch – Establish dead zones around the screen to prevent accidental touches (perfect if you hate curved screens). One Hand Operation+ – Thumb gestures for navigation (this is a particularly awesome part, more on this below). Sound Assistant – Personalize sound settings and manage app volumes (per-app and context volume settings). MultiStar – Splitscreen and multitasking tweaks (enable Multi-Window for all apps, change floating window transparency). This feels absolutely accurate. There is truly all sorts of room to tweak the UI to personal tastes, and Good Lock really does give you the tools to make that happen. Below I’ll share some of the modifications I’ve made, and the features I like most. Right now, I’m using LockStar, QuickStar, Task Changer, ClockFace, Edge Lighting, MultiStar, and One Hand Operation +. This combination genuinely changes a great deal of how the Note 9’s UI looks and feels. My lock screen looks how I want it to look. Notifications light up the edges of the display in a fancy little rainbow whenever my phone is laying on the table — a much clearer notification alert than typical AOD solutions. I have my navigation bar set to hide and navigate mostly with thumb swipes from the right edge (the left edge has too many menu panes in Android). I have the native Samsung task switcher (which I absolutely loathe) replaced by an iOS/Pie style horizontal scrolling task switcher, which works wonderfully with the horizontal task manager. MultiStar makes multitasking just a little more useful. Lastly, my notification shade is themed to match the blue and yellow color scheme of the note itself. The best features are those that add genuine value to the UX every single day, and Good Lock offers plenty of those. Other favorite features include adding a button to launch apps in multi-window from a notification, the ability to enable “chat heads” notifications for any app, setting individual app volumes, sound and ring profiles for different times, and allowing multiple apps to play sound at the same time — good if you want to, say, listen to an audiobook and background music. You can even set an app to play sound through a connected audio device or headphones while other apps play their sounds through the phone’s speaker. For me, the excellent hardware package of the Note 9 combined with enhanced customization of Good Lock make for an incredible device. The best kinds of features are those that add genuine value to the UX every single day, and Good Lock offers plenty of those. Moreover, the ability to remove the far-fewer but still-present grating bits of TouchWiz (or the “Samsung Experience”) that drive me crazy is so incredibly refreshing on a Samsung flagship. If you have a Galaxy S9 or a Note 9 and haven’t tried Good Lock, do yourself a favor and download it. It truly is a really awesome bonus on an already great package.